Selling Your Home When Dealing With a Divorce. Sell Your Utah House or Not? - This is a decision that needs to be made without emotions. Take into consideration whether or not it is financially beneficial to keep the home. Many people going through a divorce want to leave the neighborhood for a fresh new start and never return. Time is Money - Put your home on the market as far in advance as possible of purchasing a new one. Remember that when people buy and sell a home, there is usually a domino effect. Closing and moving dates have to be coordinated, and the more firmly everyone commits to a window of dates and sticks to them, the better for all involved. Curb Appeal - A home that's visually appealing and in good condition will attract potential Utah buyers. This is your home's first impression, and it should be a good one. A home with good curb appeal can often sell for several thousand dollars more than the identical home next door without curb appeal. On the Inside - The least expensive thing you can do to make your Utah County home appealing is to make sure it is clean. Our homes in Utah County are typically cluttered and messy. I don’t like to admit this fact, but it is true. We have busy schedules, larger families, and tend to put cleaning the home towards the bottom of “the list.” I continually tell my selling clients that if they want an edge on the market, they need to make their homes shine. Remove Clutter - Organize and straighten stored items. If your home is crowded with too much furniture or miscellaneous, consider putting some things into storage. If a room needs a fresh coat of paint, use a neutral, off-white. Finally, set a mood for the buyer. Make your house warm and inviting with live flowers and fresh guest towels in the bathroom. The average pre-listed home I visit in Utah County needs to un-clutter about 33% of their stuff. Most of the time sellers don’t even realize their home is cluttered. If you invite me over, I would be happy to give you some good, free advice about staging your home. Valuables - Remove valuables such as jewelry and other items from view. It might be wise to put these items in a safe deposit box before you begin showing your home. 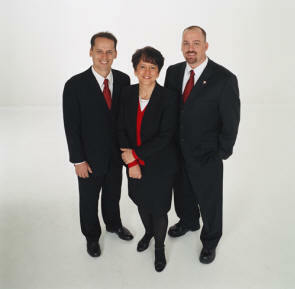 Hire Team Teasdale - Team Teasdale Realty is experienced in selling many divorce homes in Utah County. We will not disclose your divorce to anyone. In fact, don't let potential buyers know you are going through a divorce. This will weaken your bargaining position. We want to get as much money for your home as possible. It may been needed in the coming months.